Data leakages in organisations: Are Data Loss Prevention (DLP) solutions the sole panacea? Having joined the Central Bank of Sri Lanka in 1973, Dr. Coomaraswamy brings a wealth of experience in finance policy and planning. He was seconded to the Ministry of Finance and Planning between 1981 and 1989 to provide advice on macroeconomic issues and structural reforms. He was an advisor to Prime Minister Ranil Wickremesinghe and Project Minister of Economic Reforms, Science and Technology Milinda Moragoda during 2001-2002. He has worked with the Commonwealth Secretariat from 1990 to 2011 holding various posts including Chief Officer, Economics in the International Finance and Markets Section; Director of the Economic Affairs Division; and Deputy-Director of the Secretary General’s Office; Interim Director of Social Transformation Programme Division. Subho is the Co-Founder and CTO at Appknox, a mobile security company that helps developers and companies to build secure mobile application. He looks after the security technologies and the product development. Subho has previously developed AFE (Android Framework for Exploitation) and has done in-depth research and analysis on mobile platforms. He has been also listed multiple number of times in various Hall of Fame for finding out critical security vulnerabilities in Google, Apple, Facebook, Microsoft, and many more. He has presented many talks and conducted workshops at conferences like BlackHat, Defcon, ToorCon, SysCan, ClubHack, NullCon, OWASP AppSec, and RSA Conference. Vishak has over 20 years of experience in Information Security Services space with stints in product management, sales, marketing and business development. 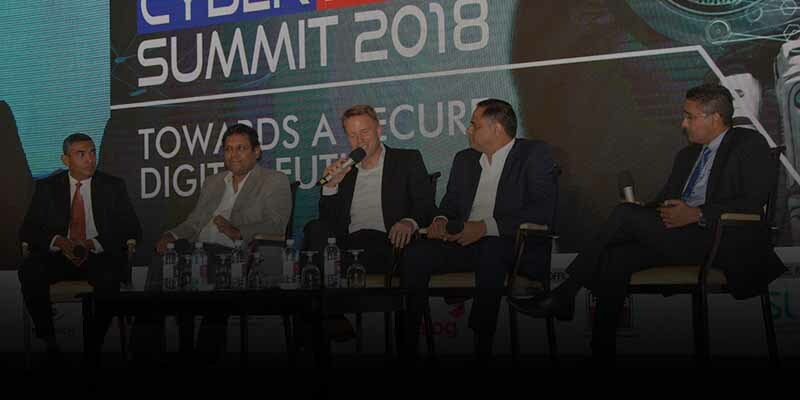 Earlier, he has served as the Senior Regional Director – India & SAARC at FireEye, and Global Head of Content Delivery Network (CDN) and Managed Security Services (MSS) business at Tata Communications. Vishak has also served as the Senior Regional Director for Fortinet (India/SAARC region). He was instrumental in setting up the first-of- its-kind Global Technical Assistance Center at Bangalore for providing support to Fortinet’s customers worldwide. Earlier, Vishak has worked at WatchGuard, Sify and HCL Technologies. Vishak holds an engineering degree in Computer Science and a Post Graduate Diploma in Business management (PGDBM) from IIM, Ahmedabad. Bringing over 20 years of in-depth experience in telecommunications, Rainer leads Dialog Group’s businesses as well as corporate planning, M&A, and corporate strategy. Prior to joining Dialog, Rainer served as the Chief Product and Innovation Officer at Reliance Jio in India. Earlier, he was the Senior Vice President – Core Telco Products at Deutsche Telekom AG, Germany. He also served as Chairman, Deutsche Telekom UK Ltd. He also worked at McKinsey & Company serving high-tech and telco clients across Europe. He holds a doctoral degree in Physics from the University of Technology Munich. Timothy Snow has over 20 years of experience in infrastructure and information security systems design. His goal is to help his customers realize their strategic business goals, leveraging security technology as an enabler. A 14-year veteran of Cisco, Tim has been providing detailed architectural service consulting to Enterprise, Service Provider and Government customers with a focus on infrastructure security and threat response. Tim is also member of the Cisco’s Technical Advisory Board (TAG) for its security products, vision and strategy. Prior to the current role at Cisco, he has had various roles in software development and TAC. A distinguished speaker with a passion for technology, Tim is a go to expert for his customers, partners and sales teams. Tim holds a Bachelor of Science in Computer Science from the University of Windsor (Canada), a master’s in computer science from the University of Michigan amongst multiple CCIE’s. He enjoys creating IoT home automation devices and sensors, retro arcade games and cooking. Nikita has an extensive background in IT, Engineering and Security fields and has worked from both technical and sales domains, giving him insight into both technical challenges and business applications of various information security tools. During his employment at InfoWatch, he worked in several regions around the world, including Russia, the CIS, the Middle East, South-East Asia and others. This gives Nikita understanding of how approaches to security and information technology differ in various regions of the world. Lakshmi Ramakrishnan is the Director- Risk Services for India & South Asia covering Sri Lanka, Bangladesh, Nepal, Bhutan & Maldives. Lakshmi is responsible for developing and executing a comprehensive country and client risk plan that is consistent with local market landscape, country priorities & global risk strategy. In her role, she closely works with issuers, acquirers, merchants, payment processors, service providers & law enforcement. Lakshmi has 16+ of experience in fraud risk management and in deployment of risk products and solutions. Prior to joining Visa, Lakshmi was working with SBI cards and was heading the fraud detection and strategy team, where she was instrumental in shaping up the fraud management framework of SBI cards with focus on lowering the fraud loss. Prior to joining SBI Cards, she worked with eServe for the Commercial cards product of Citibank, UK. Lakshmi holds a Master’s degree in Science from Delhi University and has done Post Graduate Program in Management from IIM Indore, India. With more than 20 years of sales and management experience Terry Loo is responsible for Cellebrite’s Digital Investigation and Intelligence Sales in Asia Pacific region, covering the entire Cellebrite Digital Investigation solution. His years of experience with the law enforcement and security agencies in the region, coupled with strong emphasis of the effective use of powerful digital intelligence and investigation solutions has had a profound effect on the quality and productivity of investigations. Terry is the force behind and champion digital intelligence to play a vital role in securing a safer world.